Ms. Karen Cindy M. Sajwani welcomed the participants who are mostly HR supervisors and practitioners from various organizations on the first day of the event. On the first day an “ice breaker” question was asked which was also a fastest finger question. The first person who answered correctly was given a prize. 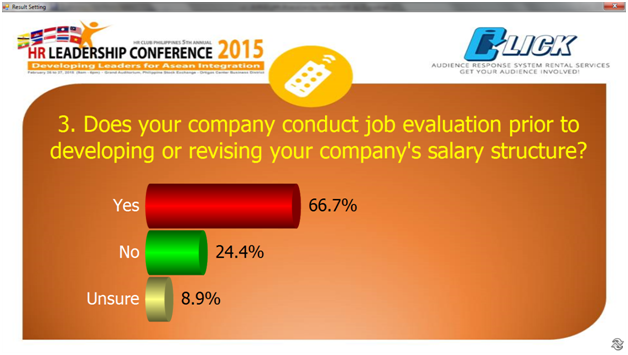 Another example of what was asked was a weight priority question type: What metrics does your company use to determine employee’s performance? The audience was made to choose their top 3 answers. The Specialty is a special stand-alone software that ensures a quicker voting process. was used. This is an essential component to any audience response system. 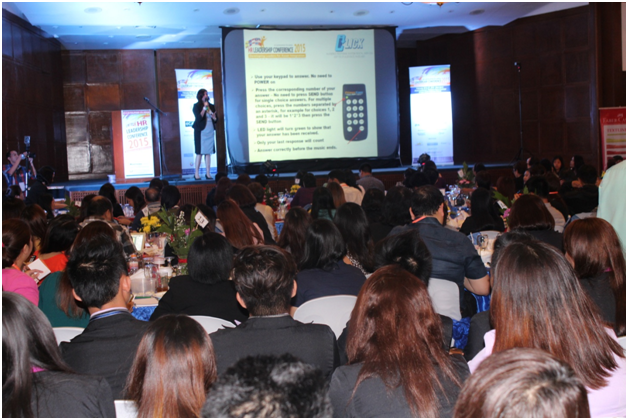 The participants used the RF1 Wireless Voting System to select single answers, multiple answers and answers with their top 3 preference. The voting was done in real time and results were displayed by the Iclick technicians (staff trained by Powercom) immediately. On the third day, the last question’s results were shown to the audience at the end of the session. It was a burning question. The audience was able to view the results on the large projector. 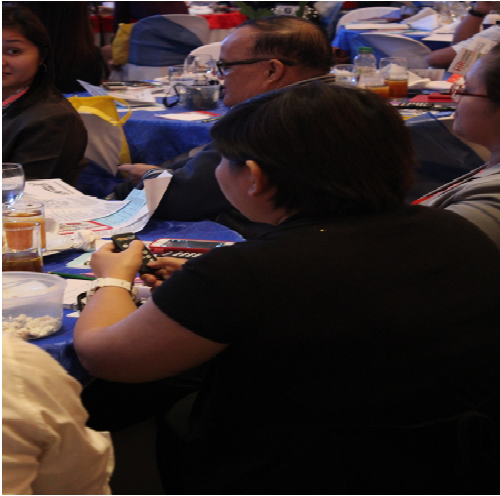 After the results came in the audience were able to see instant tabulation of all the answers from the HR members in real time. 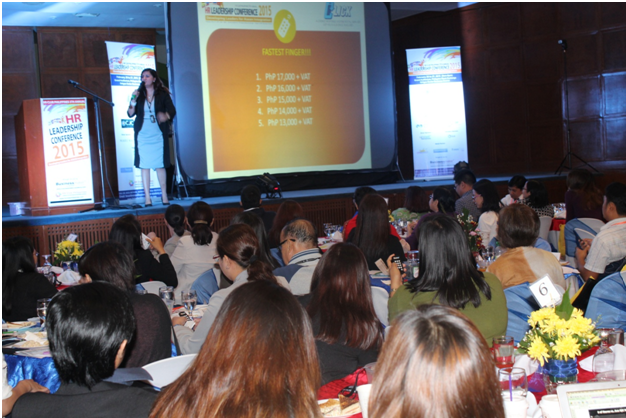 The event organizers were able to achieve their goal of having a conference with an interactive and dynamic atmosphere. 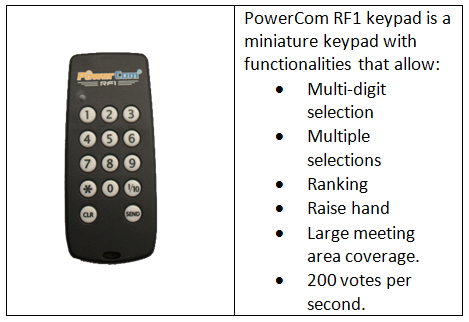 By using PowerCom audience response systems, the meeting effectively creates interaction and collaboration which is a very simple solution.